Fast Friends is dedicated to finding loving forever homes for retired racing Greyhounds, and we can't do it alone. 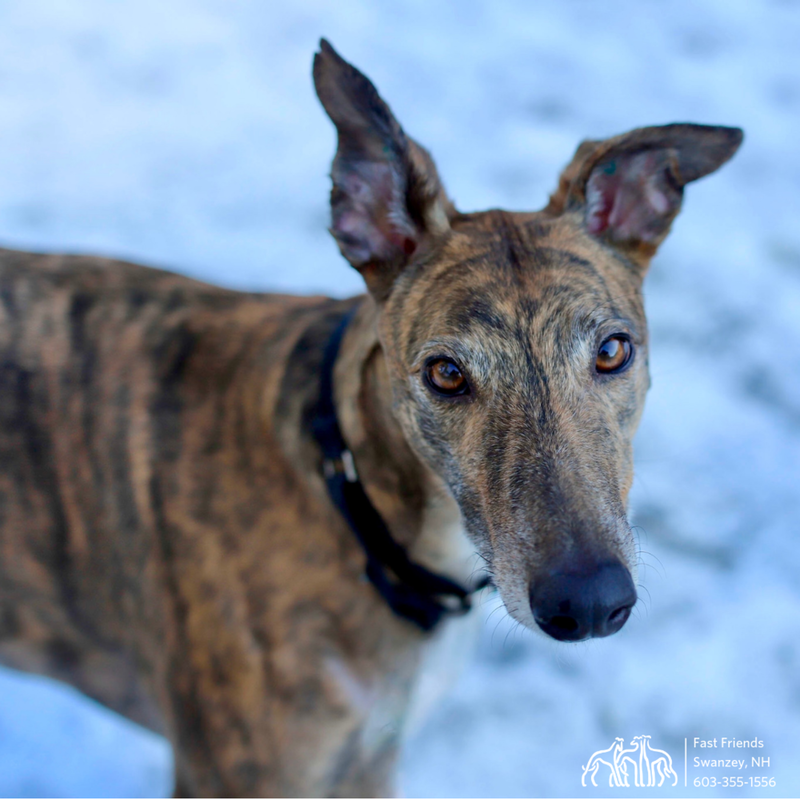 YOUR support is what enables us to bring these intelligent, sensitive Greyhounds from racetracks in the South to our facility in New Hampshire, where we address any health issues and help them transition from race dogs to treasured family companions. What does it mean to be a Hero for a Greyhound? Greyhound Heroes sponsor one (or more!) of our adoptable Greyhounds. Your monthly gift provides for their most important needs, including food, flea and tick protection, vaccinations, and so much more. You receive'll regular updates on your Greyhound and be notified as soon as they are adopted! Sponsor a Greyhound and change their life! Choose one of the greyhounds below, then start your sponsorship. You can also download a sponsorship form and send it back to us with your check. You can also download a sponsorship form and return it with your check or credit card information to PO Box 10093, Swanzey, NH 03446.